Our culture has created a “must-have” generation. We are consumed with the middle-class dream of personal wellbeing and comfort. With the convenience of extended credit we can buy what we want today and, hopefully, pay for it later. Money and possessions define who we are. We have become inwardly focused. But God wants us to focus on him. He wants us to show ruthless compassion which will bring out the best in us and change us to become more like him. and taking out all of the money from their piggy banks to make a difference in a child’s life across the world. I, who have so much, gave a handful of coins, while these children who have been saving their pennies and nickels and dimes for something special gave everything. Have I bought into today’s culture? Where is my heart? Where is my generosity and willingness to sacrifice? We need to see the world through the eyes of our children. They were able to see beyond what they wanted in order to give freely and thus make a difference in the lives of children who they may never meet. It’s time for some ruthless compassion, adults. 1. When have you seen your kids, or your friends’ kids, outdo you in joyful generosity? Was your response to encourage them—and be more generous yourself—or to damper their excitement? 2. 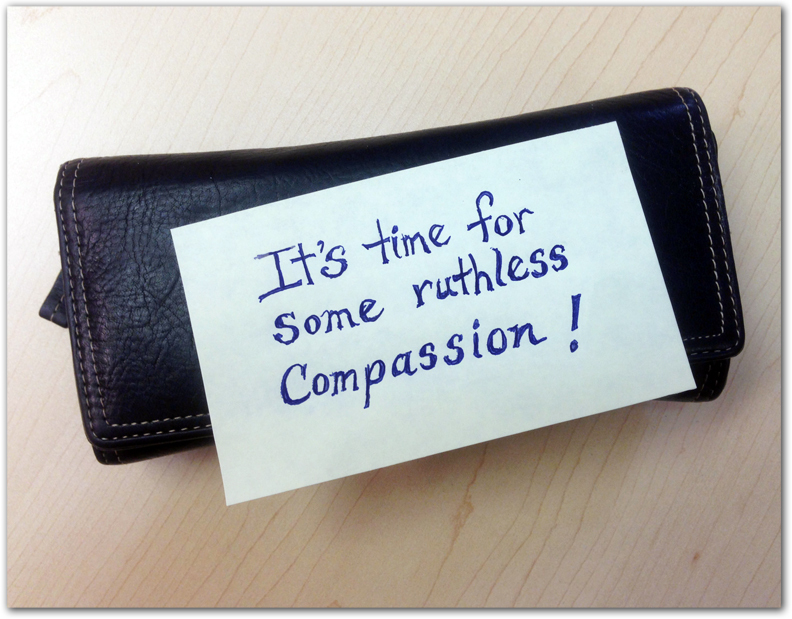 Whom can you have a dialogue with about “ruthless compassion” this week? Jan Gray is National Children’s Ministry Coordinator for the C&MA in Canada. Children’s Ministry is an important part of the C&MA mandate to create a chain of discipleship that reaches the youngest members of our Alliance churches. Note: Club 57 kids at Mission Alliance Church will surely move you with an incredible story of inspiration – watch how one simple idea multiplied to inspire a community.